Well that was quite the response to my Marius the Giraffe post last week. I’m still catching my breath. My visitor count over three days was 100x my normal numbers. If you were one of those visitors, whether you agreed with me or not, I’m extremely glad you came by. As well, I appreciate all the comments. As predicted, many people were angry; some even UPPER CASE ANGRY WITH EXCLAMATION MARKS!! But for the most part the comments, while heated, were civil. I’m pleased that I didn’t have to delete any or ban any commenters. What you see there is exactly what came in. I am going to talk more in another post about how the polemic all-or-nothing stance on animals has affected everything from our diet to wildlife management – sometimes for the good, but often to the detriment of the animals, their caregivers and the public interest. But today, to wrap up the Marius story for now, here are some links to some of the finer pieces that were written on the subject. What I like about these are the different perspectives the writers took, each one taking the time to understand the issue, think through some of the broader implications, and then presenting their views in a clear and balanced (non-upper-case) way. Like a careful anatomist, Christy Wilcox on her blog, “Science Sushi” at Discover Blogs, beautifully dissected the issues brought up by this incident, teasing them apart and laying each one out for close inspection. She devotes quite a few column inches to the importance of dissection to her, as a budding scientist, and to scientific education in general. Jason Goldman on his Scientific American blog, “The Thoughtful Animal” discusses the difficult ethical dilemma that zoos have to face when balancing animal welfare, species conservation, public perception and bottom line. Goldman does a good job of describing the options that Copenhagen Zoo (or any other zoo) have at their disposal to manage animal populations, and explains the pros and cons of each one. Robert Young* at Slate, talked about the cultural differences in attitudes to animals and death between the United Kingdom and Denmark. Virginia Morell, in her opinion piece at National Geographic, takes a compassionate and philosophical approach, pointing out that young animals put their trust in human caretakers; at the same time, the public puts their trust in zoos to do what’s best for the animals in their care. 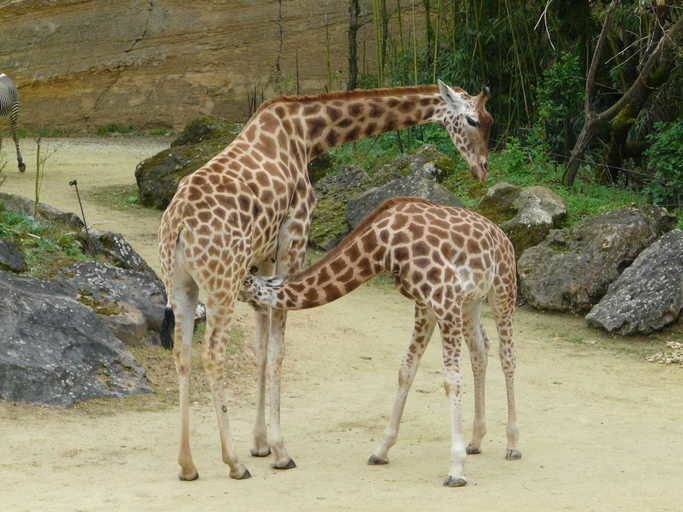 In the case of Marius, Morell believes that the Copenhagen Zoo has broken both of those trusts. *Added the Robert Young piece a few hours after this was originally posted. Kim, thanks for bringing in complementary dimensions to this story, and particularly for hearing, acknowledging and curating the words of your commenters, who themselves have added importantly to the on-going debate.